Interesting, uneven, and thought-provoking—also essential, if you dare! Such an important book! Everyone in the USA and elsewhere who sometimes attends church and/or calls themselves Christian could benefit from reading and considering Sacramental Politics. ... My favorite chapter and probably the best-written and most clearly expressed is chapter 5, "Religious Worship as Political Space." ... If any congregations, pastors, judicatories or even lone solitary individuals would dare, they need to read and consider this book! 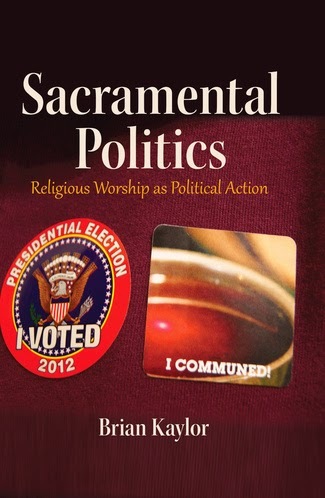 Because Sacramental Politics focuses almost exclusively on the USA, they'll discover God never has been a Democrat of any era or any variety, a Republican from any place or space, a Libertarian, a Communist or a member of the Green party, or even a declared Independent. But you know, God still is passionately political! I appreciate the review and hope others will check out the book as well.